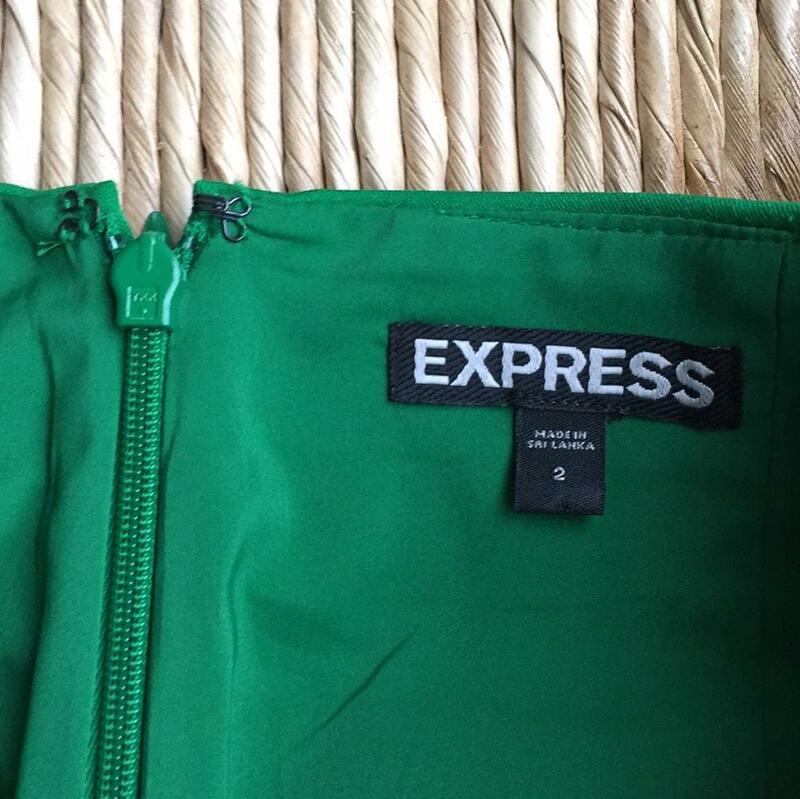 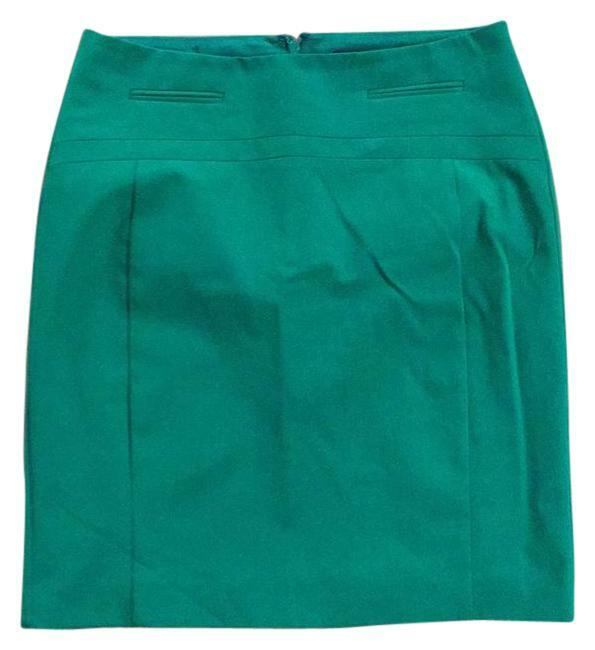 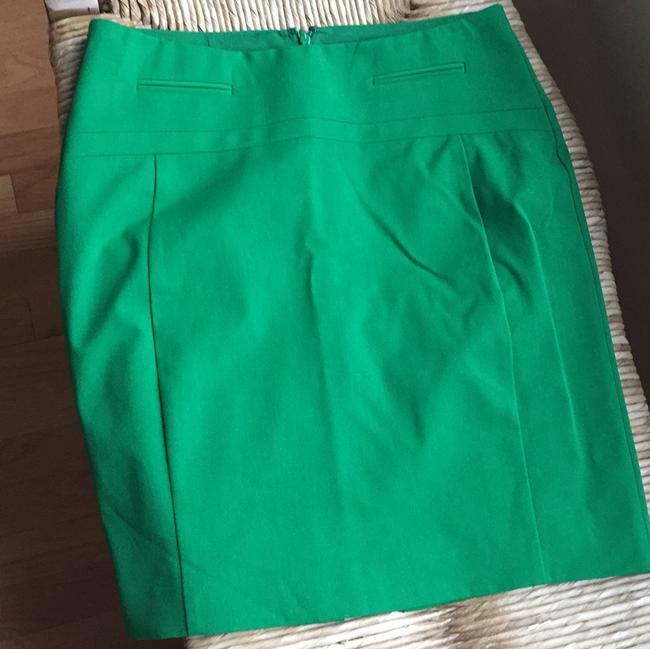 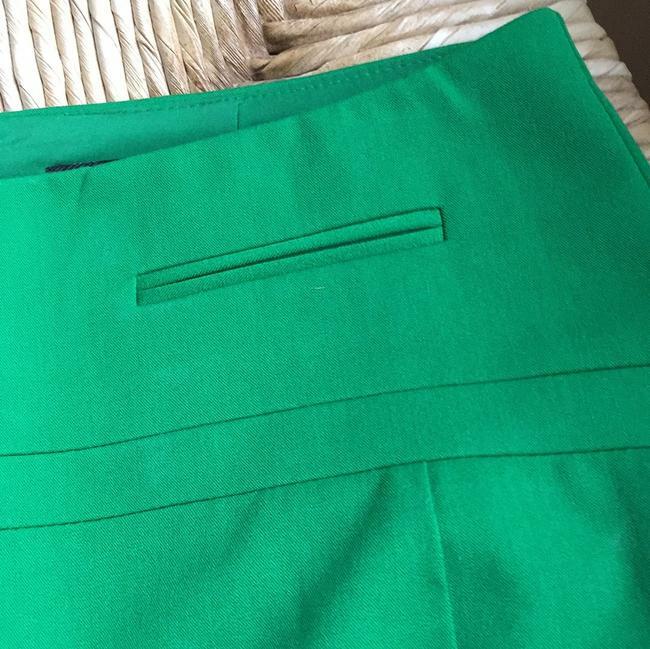 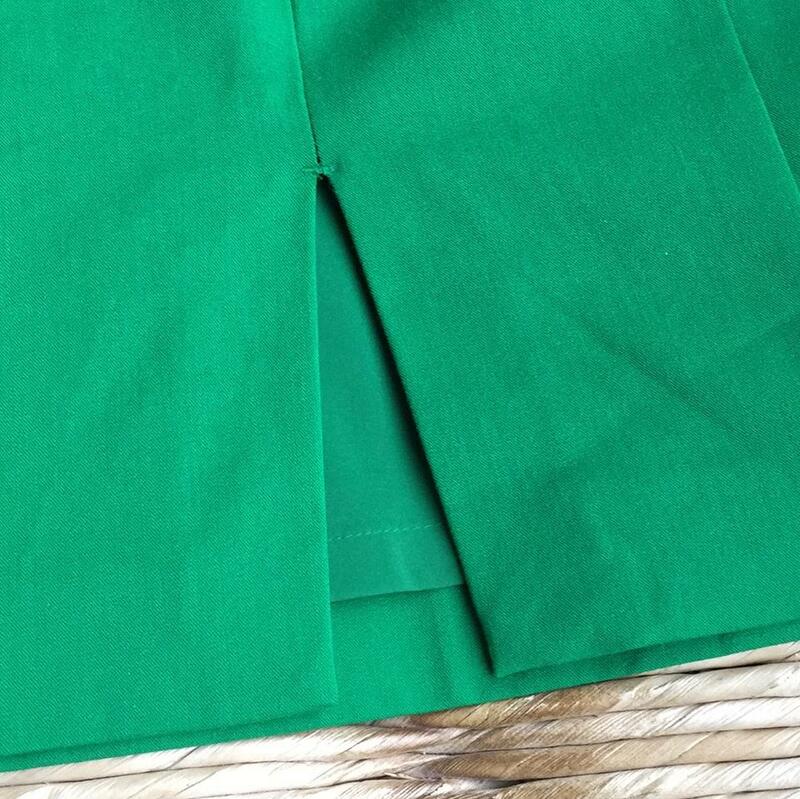 Express green pencil skirt. Back zipper closure with small slit at bottom. Two fake pocket slits in front. 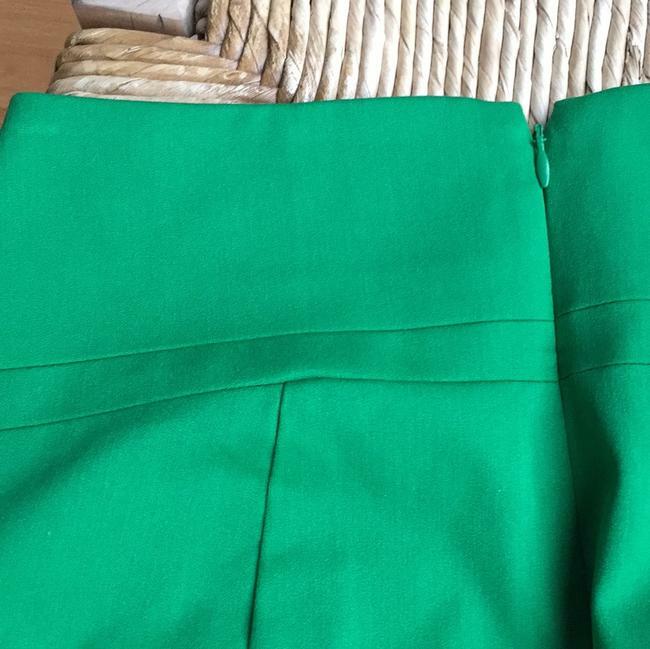 Hits at knee.